Bluetooth motorcycle intercoms have come a long way. 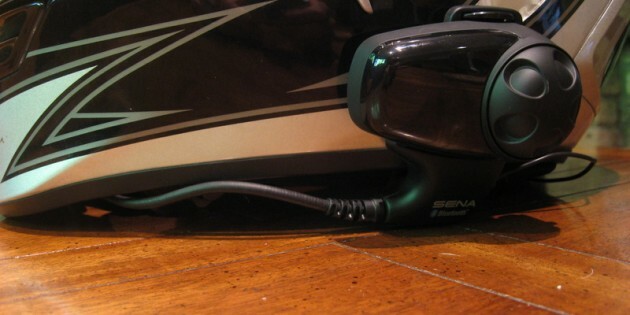 The Sena SMH10 is a great value, even as more modern products cram in unnecessary features. The second model FiiO headset amplifier was my micro-sized solution to a big-time volume problem. Would the tiny amp from Hong Kong do the job, or was the slick packaging and form factor as good as I’d get? With a supposed noise reduction of up to 36 decibels and the ability to listen to music and hear phone calls on the road, I give Etymotic Research ER6i earphones a quick spin on the motorcycle. The Cardo Scala Q2 Bluetooth motorcycle intercom headset allows you to talk to someone within 500 feet, listen to music, and talk on your Bluetooth enabled mobile phone. Unfortunately it is not loud enough to accommodate real world usage. Stay warm or stay connected? I try out the IMC BHS10 intercom system for my 2002 BMW K1200 LT motorcycle after being told by a retailer that it was compatible for my bike. They were wrong.